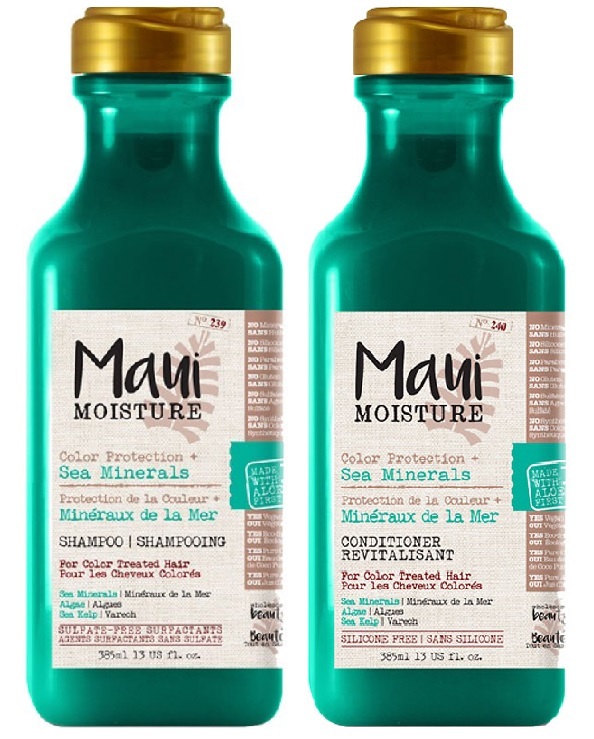 Maui Moisture Color Protection + Sea Minerals Shampoo and Conditioner - 385ml - $10.99 - keeps colour treated hair glowing all year long with a 100% aloe juice based formula that incorporates the nutrients of sea minerals, algae and sea kelp to shield coloured hair from early fading from heat or too many dips in chlorine filled pools for hair that stays soft and vibrant through any adventures that the summer season brings! 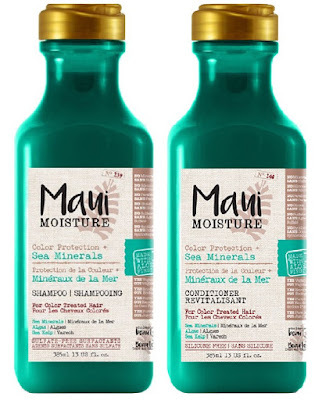 Of course there's no reason you can't use it now - hair colour doesn't have quite as many stressors during the colder months - but if nothing else, it has a tropical-like scent that will help you forget the cold and remind you that warmer days are ahead! Available now in drug and mass retailers across Canada including Walmart, Shoppers Drug Mart, Rexall, Jean Coutu and London Drugs.